If you have been anywhere near a radio in the past month you have no doubt heard Mark Ronson‘s smash hit, “Uptown Funk.” The Bruno Mars assisted pop hit has been the most played song at radio thus far in 2015, and early this morning we got a sneak peak at the official remix. Appearing on Hot97 in New York City well before most of the West Coast had even thought about waking up, Mark Ronson informed the listening audience that a remix of “Uptown Funk” has been in the works for a while. 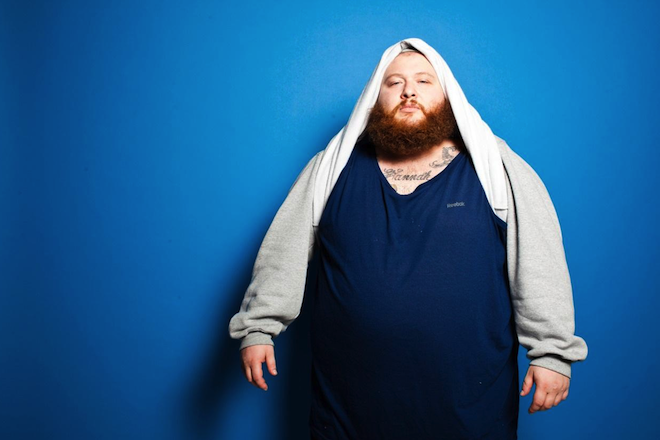 The updated track will now include an appearance from Action Bronson, as well as a verse from Bodega Bamz. The full remix is not ready for the world just yet, but Ronson did share an early cut that opens with Bronson’s newly-added verse. You can stream the single below. No word yet on when Ronson will unleash the full remix of “Uptown Funk,” but you can rest assured we’ll post the track here as soon as it’s available. Until then, follow UTG on Twitter for more music news, streams, and reviews.